Offline : at the venue before the show if not houseful. Manthan celebrating its 20 years of success of its Manthan Kala Centre. 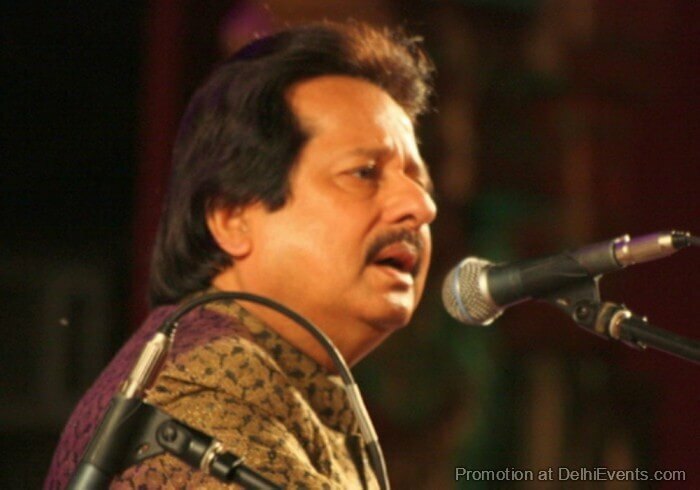 They are organizing a live concert " Ghazal Samrat " by inviting Padma Shri Pankaj Udhas a maestro ghazal singer. Padma Shri Pankaj Udhas in which he will be performing his all time favorite ghazals like 'Chithhi aayi hai', 'Aur Ahista kijiye batein', 'Mera dil bhi kitna pagal' and many more. Hi, I want passes for pankaj udhas live show at kampani auditorium.